A larger image of this Muslim Horseman, Silk Hanging, Spain, 13th century. Detail of silk hanging. A Kufic script inscription encloses a design motif of a horseman. 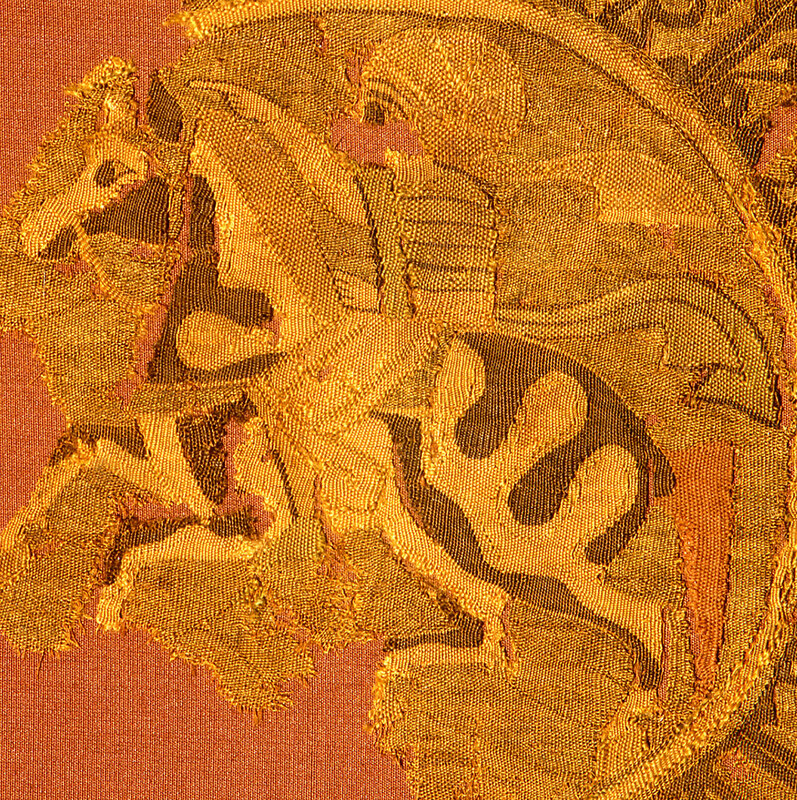 An example of an Islamic textile that became a treasure of the Christian church. Country of Origin: Spain. Culture: Islamic. Date/Period: 13th century. Place of Origin: Barcelona. Material: Silk.